It didn’t happen like that at all. I didn’t go from being a fundamentalist to being an agnostic. It was a many-year struggle in which I went from a rabid fundamentalist to becoming a slightly left of center evangelical to being for many years a liberal Christian active in the church and thinking as deeply as I could about the theological views that had long been established in my tradition. I explained in the previous post how it was the problem of suffering that finally made me leave the faith. And in a sense there *was* a moment, at least as I remember it now. The Rest of this Post is for Members Only. If you don’t belong yet, JOIN!!! You’ll get lots of content for just a little money: less than a Starbuck’s a month! And much more invigorating. So join! Bart, I hope this isn’t too personal a question: did any of your immediate family follow you, join you, go with you on that journey from faith to unbelief, and out of the church? Nope! They are all still faithful church people. Thanks so much for this series of posts about the evolution of your beliefs. It has meant so much to me. My path has been very similar, but took longer, five decades to be exact. I would add that the frustration I encountered in church trying to get people to discuss meaningful historical issues with me was the straw that, for me, finally broke the camels back. I eventually begin to think that my particular church, by stifling critical thinking, was doing more harm than good. So, it became best for me, my wife, and the other church members that I just stop going. Oddly, no one in the group ever contacted me and asked me what happened. I found that to be rather odd and disappointing. Then, in books, mostly your books, I finally found some critical examination of crucial questions and that has meant a lot to me. I remained somewhat disappointed, however, that you never put it all together in one book or one series of posts. Now you have. Thanks and please don’t get discouraged with the criticism you have received over the years. You have been so helpful to many of us and you have a good heart. I find it strange – having always understood Episcopalianism as being only slightly different from Roman Catholicism – that when I was being raised Catholic, I never even *heard of* the Nicene Creed, let alone learned to recite it! I did learn the Apostles’ Creed; but even that was something you were just supposed to think (not say aloud) while holding the cross in beginning to say a rosary (also silently). And I would have been shocked at the idea of a lay *man* saying a rosary. Even I – a female – never did such a thing, though I knew my mother did. Random watching ” Lost Gospels’ again. Where you went Egypt and spoke of the Gospel Of Thomas. Gods are one with Jesus. Prophet in village. Heals who? Google Knights templar kneeling to Jesus. Hope your weekend is well. How many years do you think it was to go through the transition of losing your faith? I suppose I was still a solid evangelical in 1980 or so, but was an agnostic by … maybe 1995? My moment came (and I am recalling it now) while sitting in the pews maybe in my mid teens and it dawned on me that by church law women could not present the sacraments nor have spiritual experiences .. only men. It seemed that women’s ONLY role prompted by the church was childbirth, family and maybe a side job and it seemed wrong. That did it for me. Biblical issues came later. Although I do believe in a creator (or creators), I commend you Bart, for being a man of honesty. I have learned much from your thought-provoking books. I spent 38 years as a member of the Baptist church, until about 14 years ago when I discovered that my “church family” was not REALLY about seeking truth. They simply wanted to maintain traditions of men. I prefer truth. Thank you for sharing your journey Bart. Hopefully your expedition was just as rewarding. This I can relate to, because I have problems saying things I don’t believe as well. We have the Apostles Creed in Catholicism, and I feel bad on the rare occasions I do attend mass, saying something I know in many cases is just factually wrong. That’s the problem with all religions–including atheism–being forced into a false unanimity of belief. Atheists pressure other atheists to disbelieve in things like a historical Jesus. You’ve experienced this yourself–you keep departing from the Atheist’s Creed. You don’t get rid of this problem by getting rid of God. People pressure other people to believe as they do, or to pretend they do. This is not a unique problem to theism. I found myself unable to recite the creed when I came to the conclusion that those who wrote it, and made it part of the service (ultimately the Catholic or proto Catholic Church), really did intend it to be taken literally. That happened following curiosity and reading up on Arianism and the controversy over Arius teaching. Cognitive dissonance is when actions do not conform to the belief then a person’s brain kicks in to resolve the conflict and return to consistent state by either changing belief or changing the action. In your case action was different than belief so you abondoned the action. Mr. Ehrman. It can be shown that Jesus at the trial of Pontius Pilate is nothing more than a midrash on the conflict between Solomon and Adonijah, and David acting as a judge between Jersus Christ and Jesus Barabbas. When Pontius Pilate met with Jesus he raised some rhetorical questions: “Am I a Jew”? “What is truth”? “Are you the king of the Jews?” Let’s look at his first question. “Am I a Jew”? When the Jews walked in the wilderness, the Lord gave them a law prohibiting Jews from marrying Moabites and Ammonites. Could King David then be considered a Jew? King David had Ruth, a moabite, as an ancestor. It looks like this was a question of importance to the early Christians. Some answered the question by claiming that God had only meant that a Jewish woman wasn’t allowed marrying a Moabite man, but that it was allowed for a Jewish man to marry a Moabite woman. And so, the marriage between Boas and Ruth was according to Jewish law. But anyway, it’s easy to see that this was a matter of concern for the early Christians. It’s in this context the question should be seen. Pontius Pilate asks Jesus if he was to be considered a Jew, and Jesus lets this question just hanging in the air for the reader to conclude. Next question: “What is truth”? This question depends on the book of Psalms where we hear David’s voice over and over again:”Guide me in your truth and teach me, for you are God my Savior, and my hope is in you all day long”. “Send out your light and your truth; let them guide me. Let them lead me to your holy mountain, to the place where you live” etc. What is truth!? David, you should know by now what truth is! The truth is right in front of you! Pilate: “Are you the king of the Jews?” “You have said so,” Jesus replied. Or: “These are your words”. Psalm 26:6-7 “I wash my hands in innocence, and go about your altar, LORD, proclaiming aloud your praise and telling of all your wonderful deeds”. The phrase: “His blood is on us and on our children!” is linked to 1. Book of the Kings 2:32. And what is more symbolic than king David finally hanging up a sign over Jesus appointing him as the true king of the Jews? Blog members who are not hip might appreciate a discussion of the filioque clause (“who proceeds from the Father AND THE SON”) controversy, if you are so-disposed. A “filioque” search reveals that this concept was mentioned, but not discussed to any significant extent, on this blog in October 2016. Suppose I should have searched 1st. Ah, an in depth discussion is beyond my expertise! How does this creed say that God is currently active in the world? When we forgive the sins of others, as Jesus taught. Speaking through prophets in the past and presumably also in the present. What if that is all there is to Christian faithfulness, ie, treating others in the way we would like to be treated by God and others and speaking the truth as we see it, sometimes courageously in opposition to unjust authorities? For me that is more than enough to describe Christian faithfulness. Anything else, if it serves that purpose, very good, but when it doesn’t, it is contrary to the teachings of Jesus and should be discarded. Besides my primary interest in theology and attempts to enlist as a seminarian, my ah ha moment was in the Episcopal church as well. I was attending Church of the Holy Spirit, in Orleans, MA, and as rite one was being phased out, I prayed less and less and rite two wording was difficult to follow. I started to miss services, and then I read other deconversion books or listened to others vlongs. The more I did so, the less rational the thing is. I was a biology major in college, but evolution did not even make sense (even today) since the whole thing was erased from my mind by the Fundamentalists who taught me. So I slowly came to realize that this faith thing, is merely a faith thing, there was no enough physical evidence to make it facts. It still take years before I realize that bible was a human book, in fact, a very human book produced by the nomads of the Middle East, and that culture is foreign to me, and so was their food and how they treat others and their women. My deconversion was slow and painful. The loss of the hope of heaven and eternal life, and the fear of hell, and then slowly, the loss of the concept of triune God, and the validity of the claims of the holy Scriptures, my life was totally based on that. I finally had the courage to face it, I am no longer an Evangelical Christian. I was still a loose termed Christian in the mainliners churches. But these do not interest me since they no longer seemed to have a purpose (according to my wild and coercive fundie training). The moment I came to, was an ah ha moment that Christians God cannot be real, and I no longer pay homage to it. I stop saying the creeds, or attend church services. Initially, every moment of church attendance was painful; so I did not go. But this is years now, I could go in and watch. I no longer worship this Christian God/god, I watch and is an observer of this public event/service/liturgy. I even partake the eucharist, when I had to, but the meaning and the essence is no more. I still consider myself a Christian, just without these gods. In a statement similar to St Paul, he wishes the King Agrippa to be a Christian, just without these chains. I thought long and hard, I am still a Christian in the sense that all my morals and the higher moral guidance are entirely shaped by Evangelical Christians, so I cannot be otherwise, but I no longer am an Evangelical, that much I am certain. I do not want to go to church for food or fellowship, this much I am certain. In the end, I found my sense of being, I belong to the earth and this world. I still think about God a lot when I grow things, for I am now a small organic farmer (in my spare time), and I grow a lot of garlic. In these, I have finally found peace. I have no eternal life complex, nor do I have the moral superiority complex, but just a human, living here and now (secula) and when I die, I wish to return to the ground from which I was taken, for I was once dust, and to dust I must return. I shall be gathered (as if a basket of fruits) to my ancestors. There I shall dwell and have peace. 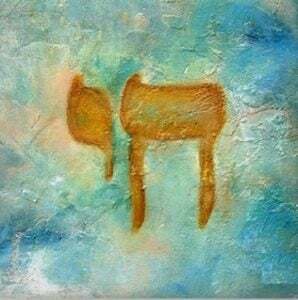 In that returning (shabath), I will find peace. For I shall be no more, and all these inner struggle shall cease. No, that’s what I’m precisely trying to say. If it weren’t for suffering I *would* have remained a believer. Fair enough, maybe you would have continued believing in your own concept of god but would you have remained a christian? There is nothing in the christian creeds (that you had stopped believing in) saying that god is good and fair. Bible is a book full of suffering where believers are rather hated in this world due to their fate rather than being rewarded by god. God seems to help a few people in this world in the OT or in the NT in general. I guess that is why suffering sounds as unconvincing reason to me for you to stop being a christian but that just my view. I did understood your point all the time but I’m not just convinced. I don’t think there’s a single definition of what a Christian is — there are thousands of understandings of what it means. Is it someone who believes in the literal virgin birth and physical resurrection of Jesus? Is it someone who devotes her life to following the teachings of Jesus? Is it someone who has been “born again.” Is it someone who partakes of the weekly Eucharist? Etc. etc. I would have at least considered myself to be Jesus’ follower and one who believed he uniquely manifested the reality of God, and for me that would have made me a Christian. Thanks for the good clarification. Einstein has said: “The value of education is not the learning of many facts but the training of the mind to think.” I see your life-story more form such a point of view. No, I can’t say that I have taken that very seroiusly. I came to Chapel Hill a year before you did, in 1987 as a graduate student in the MFA Theatre Acting program at UNC. I also went through a dynamic change in my belief system while I was there. My undergraduate school was the small, conservative Abilene Christian University in Texas. At UNC-Chapel Hill, I was confronted with a much greater diversity of ideologies. I graduated with my MFA in 1990, but the place forever changed me. My current relationship to Christianity probably mirrors yours. My concern is that ‘truth’ is broader than empirically-derived theory: it is a functional tool in our lives. I am heavily committed to a scientific worldview. The concrete, scientific view of ‘truth’ has proven to be incredibly powerful, but must be silent on those subjective matters that are beyond the scientific method. My concern is that accepting concrete, scientific truths offers no access to a different class of subjective, mythic human truths. For example, why ought I act as if every human is of intrinsic worth? That is not a principle that can be derived through objective experimentation: it is an ethical axiom. If we abandon the Christian tradition, we also abandon the ethical axioms and mythic truths that form the basis of Western civilisation. The murderous Twentieth Century was partly the result. I have written a lot about myself here, but I am really interested in your reflections on this problem as they are likely more developed than my own. Can one recognise and believe – really believe – in the mythic truths of the orthodox Christian tradition, while also embracing the concrete truths of the modern, scientific worldview? Is it not legitimate to celebrate both truths as being complementary? Thanks so much for your openness and honesty on such personal matters. Yes, I have friends who avidly do both. They simply think that simple-minded literalistic acceptance of the Bible is a poor substitute for true and informed faith.